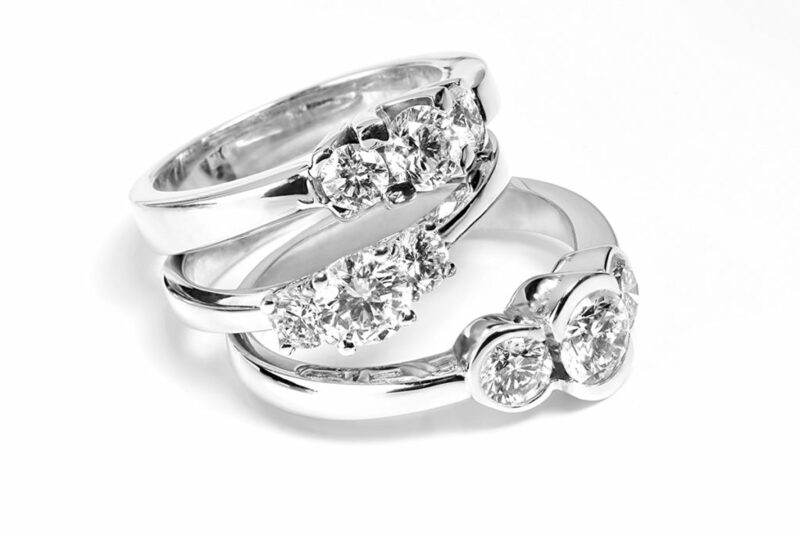 Once you’ve found your true love, the one you want to marry, you’ll need to find the perfect diamond engagement ring! In order to accomplish that, you’ll want to know about all the different types of ring settings. 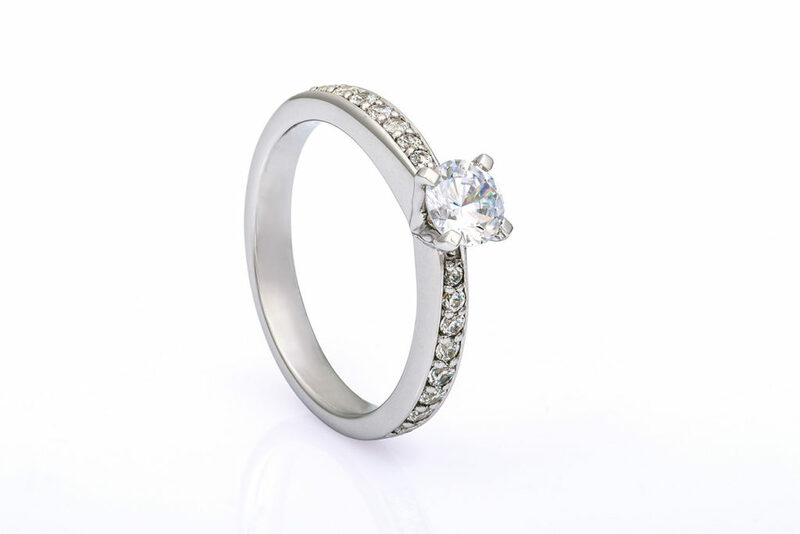 With the right ring design, you can make a diamond look larger than it actually is and can also bring out more sparkle! 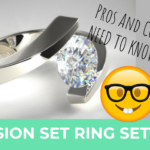 There are many different types of diamond ring settings to choose from, but this comprehensive engagement ring setting guide covers the absolute essentials. 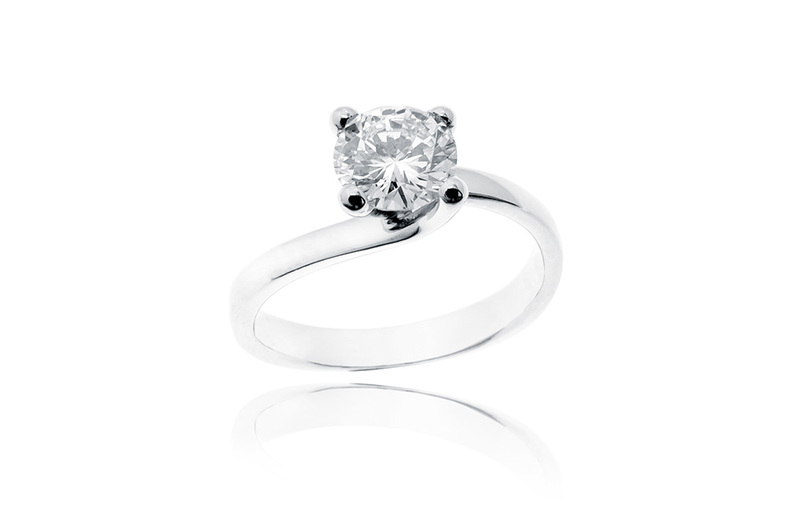 The solitaire diamond ring setting is the classic engagement ring setting. The reason being that no other type of setting draws in the viewer to the stone in the center as much the solitaire setting. There are no distractions from the diamonds beauty and this is what makes this particular diamond ring setting so popular. A solitaire ring is set with prongs, which are tiny metal claws that secure the diamond. 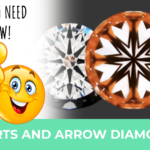 The use of prongs is very widespread because they allow the diamond to show as much as possible, which helps to make the diamond appear larger compared to other ring settings. Prong settings also allow a maximum amount of light to reflect off the diamond, creating the most amount of sparkle for any diamond! There are pros and cons to each type: The 4-prong setting allows more light to reflects off the diamond so it sparkles brighter than a diamond set in a 6-prong setting. However, the latter does a better job of securing the diamond. The ring with the thinner band appears to hold a larger diamond. 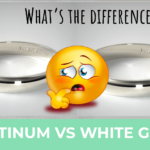 The diamond in the ring on the left appears larger in contrast to the band. 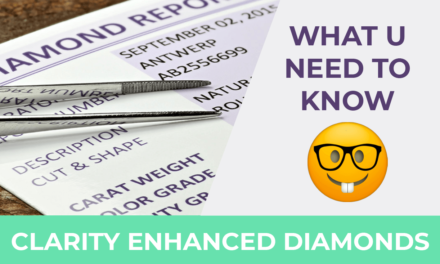 If you want your diamond to look larger, the band should not be any thicker than 1.8mm to 2.2mm. When it comes to types of ring settings, a simple solitaire setting continues to be the most popular with its simple and elegant design. The Pavé ring setting gets its name by being paved with a lot of small stones (e.g. diamonds) on the band (pave diamond), one right next to another with no breaks. This gives the impression that the setting itself is made of diamonds, creating a lot of sparkle! In Pavé ring settings, the smaller stones are inserted into tiny holes in the metal ring and secured with tiny prongs. One disadvantage is that the small stones may distract from the glorious larger diamond in the center. 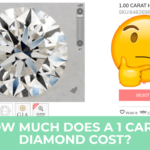 Keep in mind that a ring with a Pave setting is more challenging to resize if the diamonds are all the way around than if it were only partway paved. 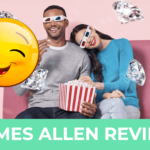 To ensure that you get the right ring size, utilize the ring-sizing tool on James Allen’s website. It will help you measure for the correct size before making your purchase. This type of settings a lot like the Pavé ring setting, making them hard to tell apart! A ring with a Channel Set also has smaller stones secured into the band, creating a channel of tiny diamonds that create more glitter! 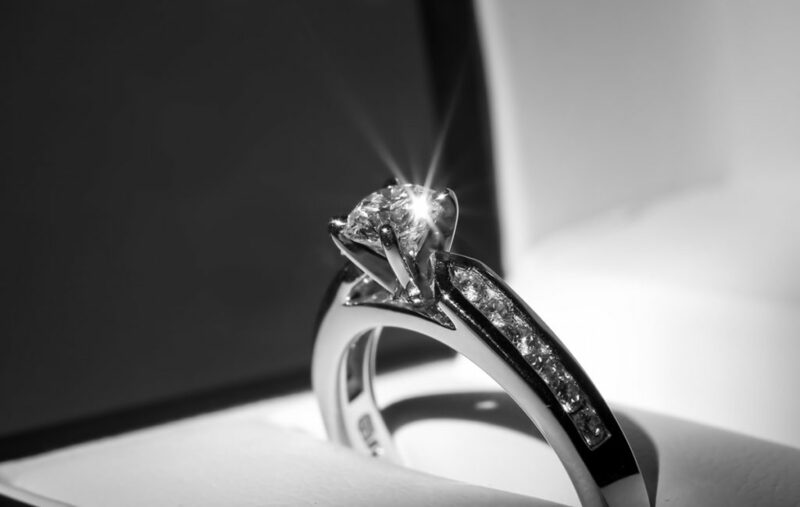 The difference between a Channel Set setting and a Pavé setting is that the diamonds are held in place with a thin strip of metal rather than prongs. This ring feature makes the tiny side diamonds look like they are level with the ring band, with no prongs or diamonds sticking out above the surface of the band. This increases the durability of the ring while making it less likely to snag clothing. A Channel Set ring would appeal more to someone with an active lifestyle than a Pavé ring. 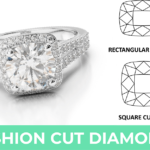 In the photos above, the diamonds in the ring on the left are round cut whereas the diamonds in the ring on the right are princess cut. 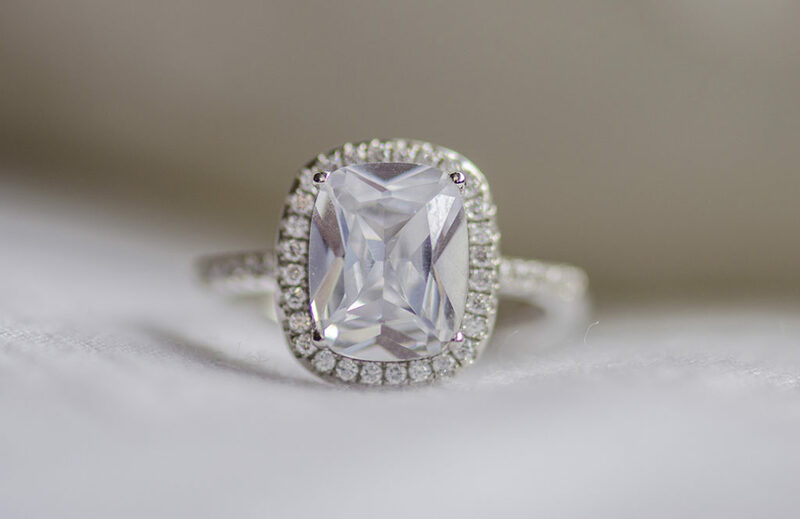 With princess cut diamonds there are no gaps in between, which makes for more sparkle! 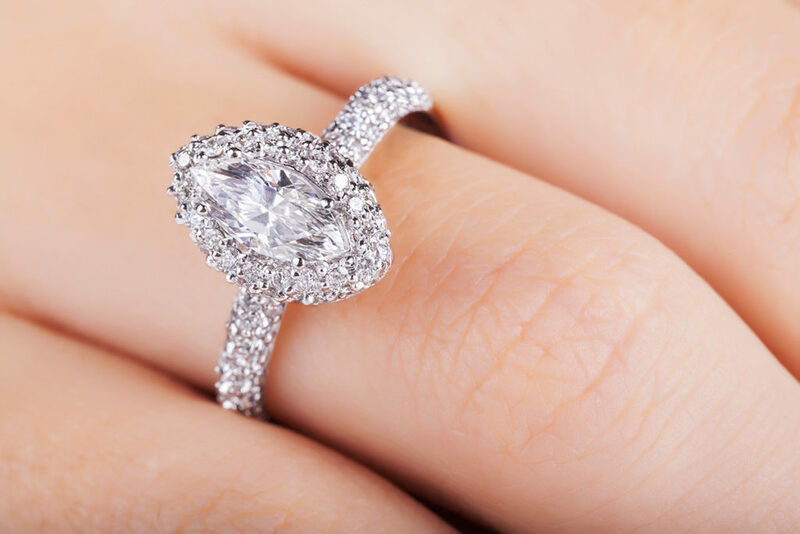 These types of engagement ring settings have a diamond in the center with two smaller diamonds on either side of the center stone, as the name implies. The stones on the side create more overall brilliance. The side diamonds are more distinctive due to their size than those on Pavé or Channel Set rings. 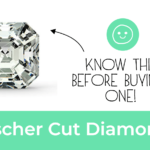 The center diamond is usually round or princess cut. One drawback might be that this type of stone setting may detract from the stone in the center. 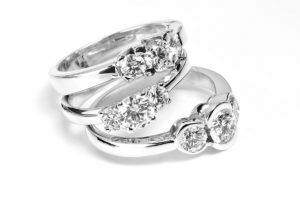 The Three-stone setting is a type of Side-stone setting. As shown in the photo above, two slightly smaller diamonds flank the diamond in the center. 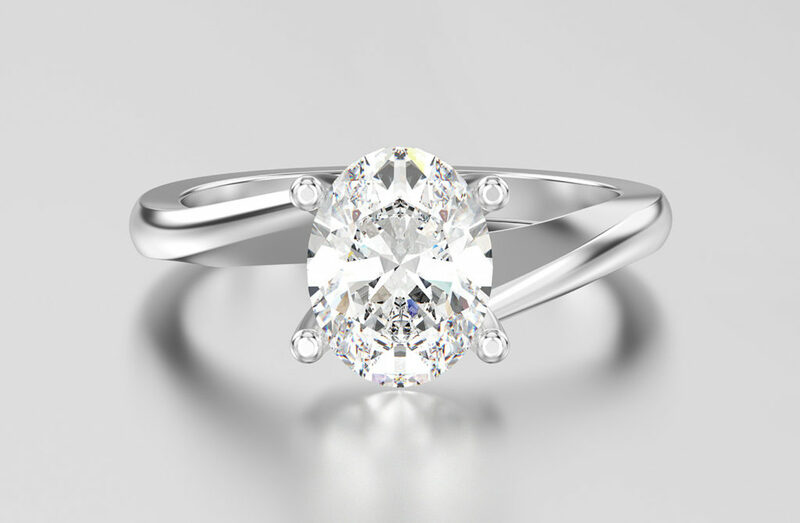 The design’s intent is to make the side stones blend well with the main diamond to create a more impressive look! 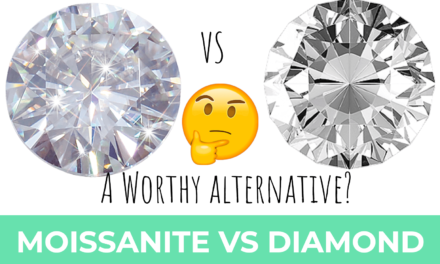 One drawback is that the center diamond often appears smaller than it actually is. However, by placing smaller stones on the sides you can mitigate this effect. 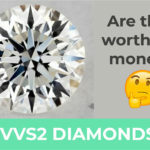 The diamond in a Solitaire setting will appear larger to most people than the center diamond in a Three-stone setting, just as a diamond with two much smaller stones on either side will appear larger than a center diamond that has two only slightly smaller stones on either side. The Tension setting is a very recent modern design. What’s interesting about it is that the diamond is not held in place by prongs. 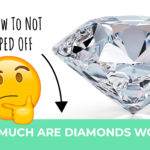 In fact, the diamond appears to be floating in air! 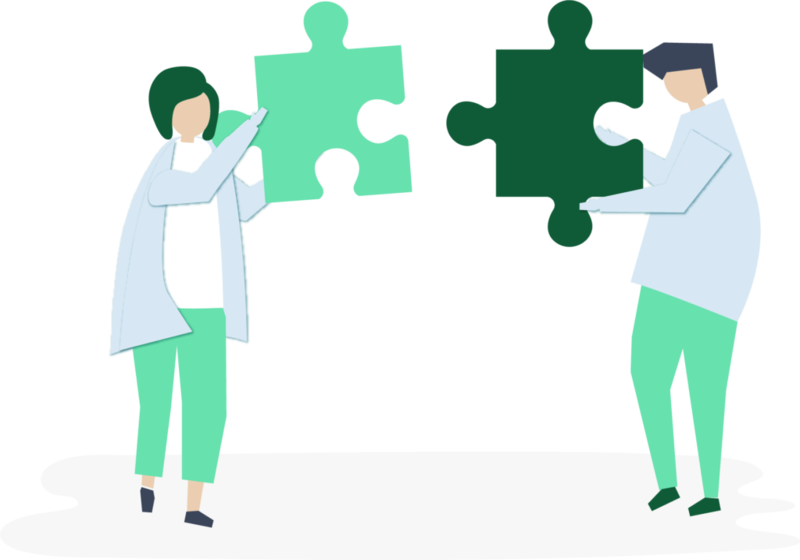 The tension between both sides of the opening in the ring is what holds the diamond in place. Right where the diamond touches the band, the jeweler carves tiny grooves to further secure the diamond. The diamond in a Tension ring setting may look like it could easily fall out, but actually the diamond is held far more securely. 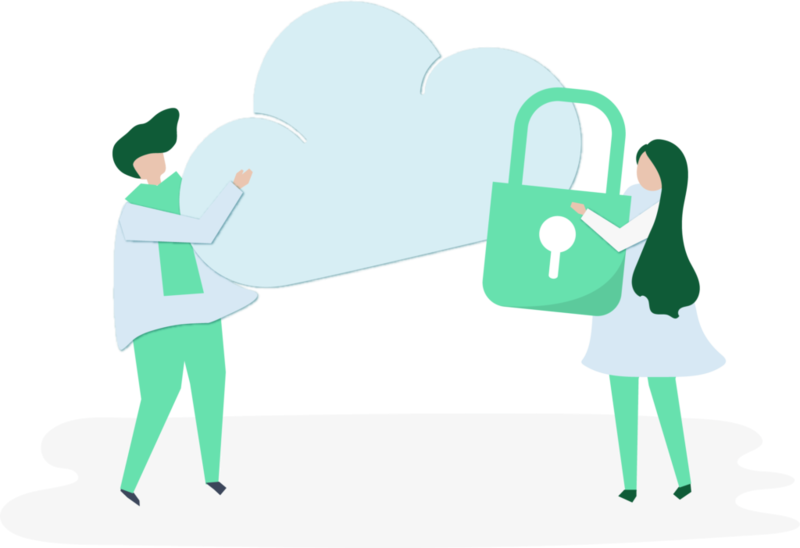 The truth is, this is one of the most secure types of ring settings. What makes this ring design so unique is that you can practically see the entire diamond, which makes the shape and cut of the diamond extremely important. 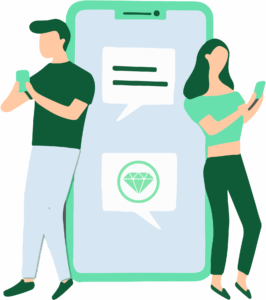 The diamond cuts that work best are round, princess, and emerald. 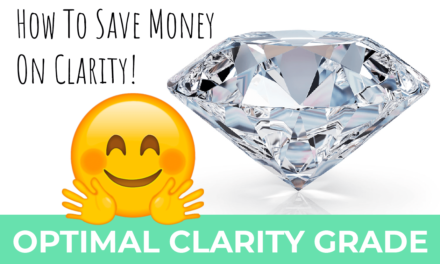 Unfortunately, this diamond setting type is hard to resize and because it takes more time it will cost more! Tension ring settings are not the same as Tension-style settings because the latter has an additional metal band that surrounds the diamond. Tension-style ring settings are easier to make than Tension ring settings and much less expensive. The Tension-style setting is actually more secure, although the Tension setting certainly holds the diamond securely enough. Overall, Tension ring settings are the perfect choice for someone wanting a sleek-looking modern ring. It will definitely attract attention! In a Halo set ring tiny little diamonds are placed in a concentric circle all the way around a much larger diamond in the center, making it look far larger and greatly increasing the ring’s sparkle. 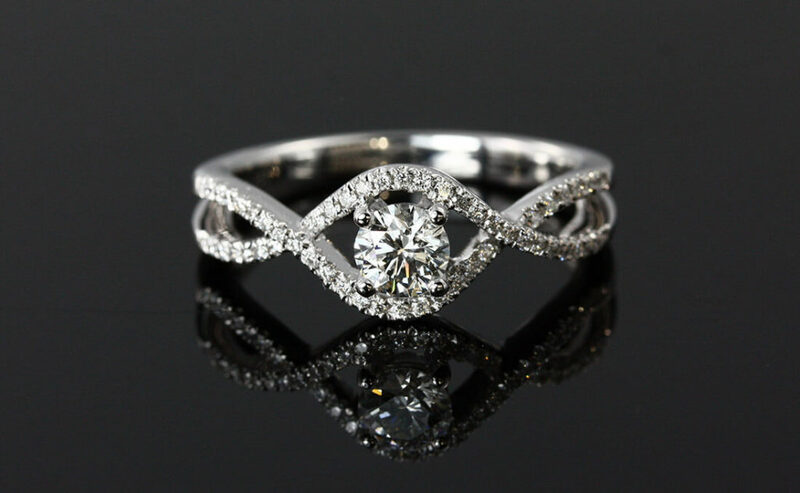 Halo ring settings are often made with Pavé bands to add even more sparkle! Recently, Halo set rings with small sapphires surrounding the diamond in the center have become popular. The center diamond may not look as large in this case, but the contrast is stunning. Halo set rings are the perfect choice if you want maximum sparkle! A split shank setting, also often referred to as vintage setting, is a ring setting that parts when approaching the center of the ring, with the biggest gap being where the diamond is placed. Instead of plain space they can also be twisted or woven and have a halo in the center. In recent years the split shank setting became popular amongst celebrities. There is no one setting that stands out as the best. Your choice of setting will showcase the diamond you select and should also reflect a bit of your bride-to-be’s character and who she is as a person! 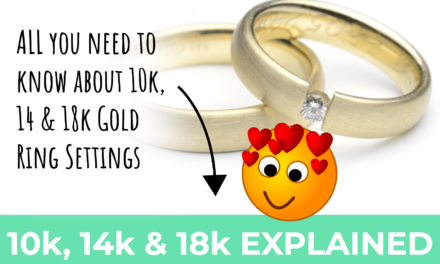 You might also be interested in learning about the differences between a 10k, 14k and 18k gold setting.